Before you even hit the water for your first freediving course, there are exercises that you can do to help prepare you mentally and physically for freediving. Before anyone arrives for a freediving course with me, they have already received an information pack containing optional breathing, stretching and breath hold exercises and advice on diet and mental preparation. After you have completed your course you will have a clearer idea about how to breathe correctly and can continue with dry training before you hit the water again. Even though there is no substitute for actually getting wet, many top-level freedivers have little access to the water and do a lot of their pre-competition training in the gym and at home. You may only be able to get to the water every month or on holiday, but there is plenty of training that you can do every day without any special equipment. 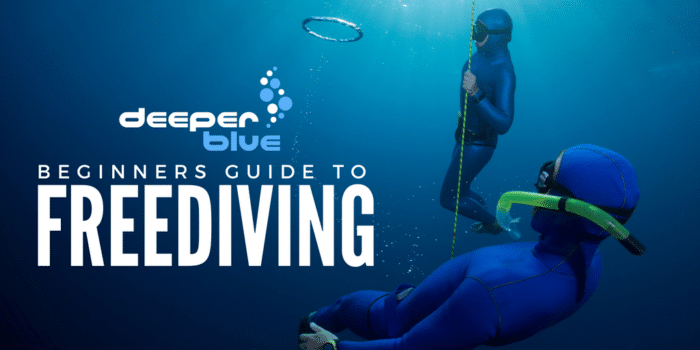 In this article we’ll be looking at different forms of training that you can do, both in and out of the water, to enhance your enjoyment of recreational freediving.  Dry training for freediving is simply training that you do out of the water. For obvious reasons this is far safer than training in water, however, any training that involves breath holding should be thought through carefully. If you are holding your breath then it should be done when you are lying down on a bed or sofa. 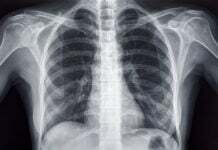 If you are practicing breath holding when standing or walking, make sure someone is on hand to lend assistance or put appropriate safety measures in place. It can be interesting to observe your mammalian dive reflex in action by wearing a heart rate monitor and getting your instructor or buddy to observe how your heart rate changes during the exercises. Carbon dioxide (CO2) and oxygen (O2) training tables are intended to help your body exercise and adjust to high levels of carbon dioxide and low levels of oxygen. The exercise involves holding your breath eight times. With a CO2 table, the length of time you hold your breath for stays the same, whilst the recovery time between each hold diminishes. With O2 tables, the recovery time stays the same but the length of your breath hold increases. Both training tables can be used on dry land, preferably while lying down on a bed or sofa. The CO2 table should be set to around 60% of your maximum breath hold time and the O2 table should be set to around 85% of your maximum breath hold time. On a freediving course, you will be able to work safely with your instructor to establish roughly what you maximum breath hold time is. Because O2 tables take you near your max it is not recommended to do them in water. Do not perform more than one table a day and avoid going for maximum breath hold attempts on the same day. Also make sure that during the recovery time between each hold you do not over-breathe, as that would defeat the object of the training tables. There are many excellent smartphone apps on the market that will prompt you to breathe and hold your breath at the correct times. You can also write your own tables out (see below,) which are easy to follow as you simply start a stopwatch and keep it running. As a general rule, relaxation is more important to freediving than physical fitness. If you are generally fit, though, then you will find it far easier to freedive for longer periods once any other issues around equalization, relaxation, and technique are addressed. Strength training can also be useful, particularly if you are developing muscles for specific disciplines, such as those with no fins. 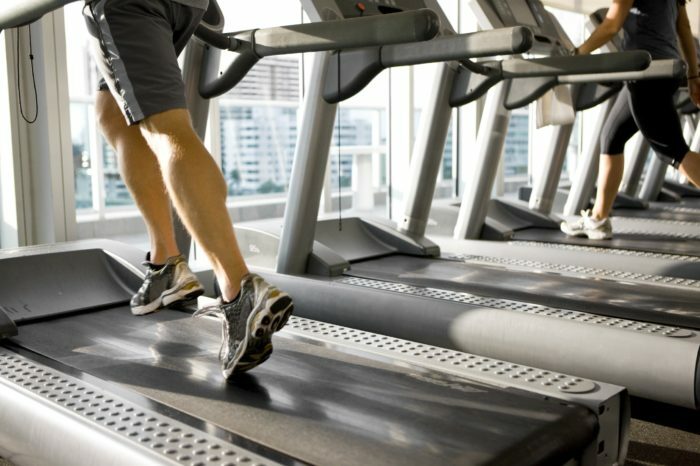 Any fitness training performed at the gym or by playing sports will be useful for improving general fitness. Both cardio and strength training can be done while practicing your breath hold, which helps your body adapt to anaerobic respiration, similar to that required when freediving. This must be done with great care, though, to avoid the risk of passing out. Dry walking is a form of freediving training that can be practiced at any time that you are walking. The simplest way to begin is to walk at a fast enough pace that you need to breathe through your mouth. Then start breathing in (preferably through your nose) for four steps, holding your breath for between four and eight steps, then exhaling for four steps and repeating. It should be difficult to do but maintainable for at least ten minutes. Some people do variations of this while running on a treadmill or cycling on a stationary bike. They find that when they stop the exercise and breathe normally, they feel as if they have found an extra gear! Just make sure you never reach a point where you feel dizzy. If this happens then slow your pace until it becomes easier. Dry walks can be done using a maximum hold, however, these must always be done on soft ground, such as a beach or grass, and always with an instructor who can guide you through the process and look out for your safety. Weight training, either with machines or free weights, can also be done while breath holding, however, this must be done with extreme caution and preferably with experienced an experienced spotter. It is especially useful when working the muscles which will tire the most during a freedive, such as your upper legs and shoulders. The more you can adapt your muscles to working anaerobically and coping with large amounts of lactic acid, the safer and easier your freedives will be. The postures stretch and flowing series of movements in yoga is incredibly beneficial to freediving, increasing strength, flexibility and body awareness. It is not recommended that you perform yoga postures while breath holding, though, and you should find an experienced teacher to ensure you are doing the postures correctly. The Pranayam subsection of yoga specifically pertains to the breath and many of the exercises feature breath holding. These are also very beneficial to freediving, but we recommend finding an experienced teacher to show you the exercises. If you are put off by the very idea of yoga then make sure that you factor in regular stretching with warmed-up muscles. When you train for freediving in a pool you should always work with an instructor and/or very experienced buddy, and preferably as part of a supportive freediving club. If you live in an area of the world with cold water then pool training can be vital throughout the winter months to maintain and improve your skills. Static apnea training is beneficial for all freediving disciplines, and training finning and no fins technique horizontally will translate to depth disciplines very well. If you do not have access to a buddy or instructor then you can do swim training in a pool, working on your fitness and reducing the amount you breathe between strokes to train tolerance to high levels of CO2 and lactic acid. Again, this should be done well within your limits and if you feel at all light-headed then stop immediately. No swimming should be done under the water without a buddy. Octopush is the name for underwater hockey, a game played on the bottom of a pool between two teams. It is fast and highly skilled and involves amazing breath-holding abilities. There are many clubs worldwide that you can join and there are also clubs playing underwater rugby if you fancy something even more physical. With all physical training for freediving, your muscles are working hard – often under anaerobic conditions. This produces large amounts of waste products and free radicals. It is important that you drink plenty of water after exercise, eat foods high in antioxidants and rest well. Your food is your fuel and your medicine. The better the food you put in, the better results you will get out and the more resilient you will be. We will look at a freediving diet in a later article. Rest is just as important, ensuring you do not get burnt out and become susceptible to illness and disease. Take time out to relax, make sure you get at least eight hours of sleep a night and find time to do things that fill your heart with joy. Training for freediving should be a pleasure, not a chore. If it is not, look at your schedule and make sure you allow yourself enough downtime. I often say that freediving is 90% mental and the rest is in your head. I have lost count of the times when an overweight, unfit, yet relaxed person has zoomed comfortably and easily past a superfit yet anxious person who is struggling to get a few meters deep and then bolting back to the surface. Creative visualization is incredibly powerful as the brain cannot distinguish between thinking about an act and actually doing it. Allow time to visualize your diving when you are relaxed and not likely to be disturbed. Progressive muscle relaxation, whereby you tense and relax each part of the body in turn, is a good preparation. When you visualize your dive, imagine every sense and see yourself at the center of the visualization happy and relaxed. Make sure you take your time to cover every aspect of your dive, from pre-dive procedures to smiles and congratulations afterward. Training for recreational freediving takes in everything from general fitness and diet, to breath hold training and the ability to rest and relax. Ensure you work with an instructor to create a program for you that is safe and tailored to your unique abilities and needs.